Small and medium sized enterprises are at the heart of our communities. Facebook supports their growth in Mexico, helping startup founders to thrive by teaching them digital skills and empowering women entrepreneurs. If Urban Trendy doesn't post an item on Facebook, it doesn't sell. Since using Facebook we've increased our sales by 60 percent. If it wasn't for Facebook, Kiwi Accesorios would not exist and would not have been able to expand to 31 franchise locations. Although 70% of Latin America’s population live within the poverty line, few startups focus on this segment. As a result, many people across the continent are missing out on transformational products, services and opportunities. 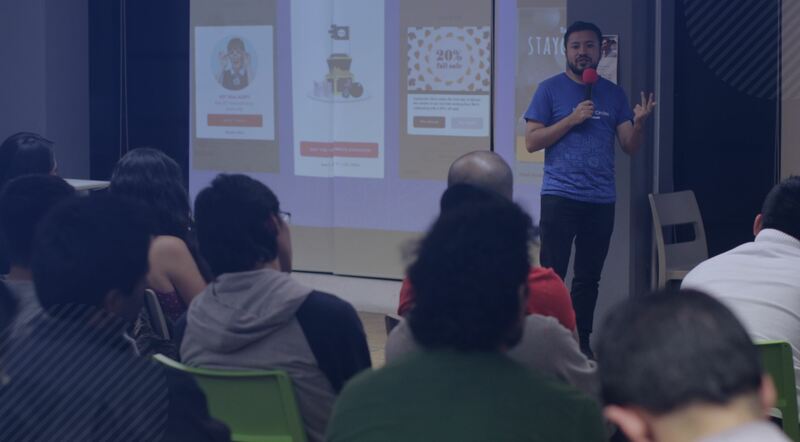 Launched by Facebook and MassChallenge Mexico, Startup Hub CDMX gives startups the chance to tackle underserved communities in Mexico with the launch of solutions supporting their core values. 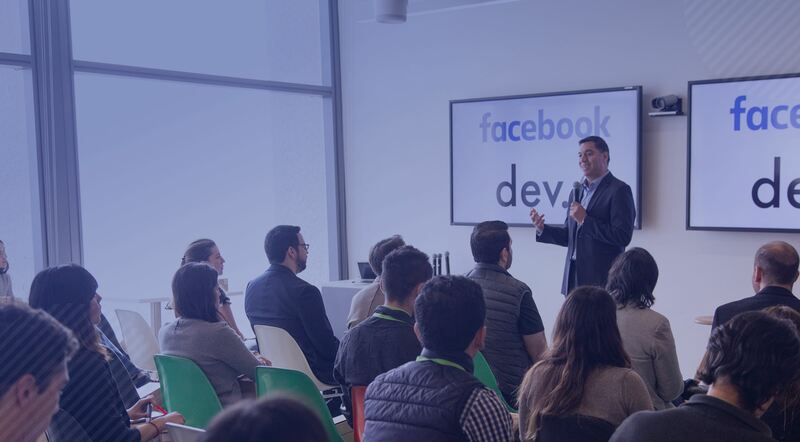 Throughout the 16-week program, Facebook provides technical assistance, access to employees, training on Facebook Developer Tools and credits for tools and services from top-level partners. Startups on the program also benefit from advice from mentors, workshops on many topics and access to experts from MassChallenge. Knowledge is key to the growth of startups, yet places offering the chance for collaborations and relationships to develop are scarce in Mexico. 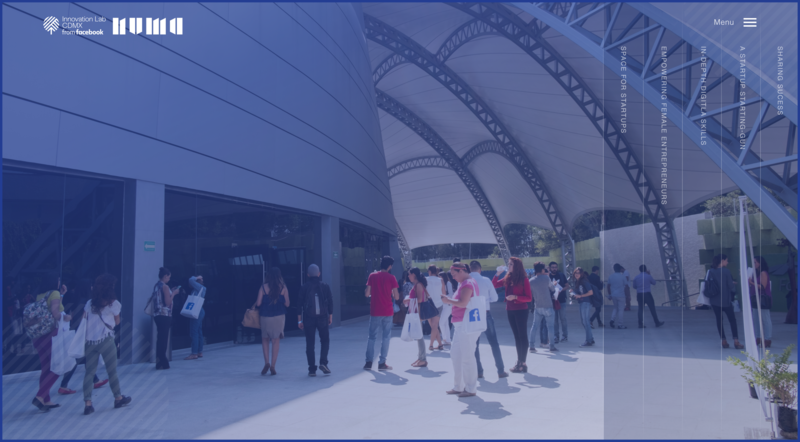 To promote learning and culture building, Facebook and NUMA have created a physical space in central Mexico City to host events attracting developers and entrepreneurs year-round. The NUMA Start-Up Mansion in La Condesa offers a free co-working space, an acceleration lab for 20 hand-picked startups, a public arena for ecosystem events or networking nights and private office space for growing startups. It’s a place for people to exchange knowledge and access new information, mentors, experts and funding to help them thrive. For businesses, Facebook isn’t just a community of potential customers, it’s a great way to reach them. Boost Your Business is a training program in making the most of our digital tools to create meaningful connections with Facebook users. 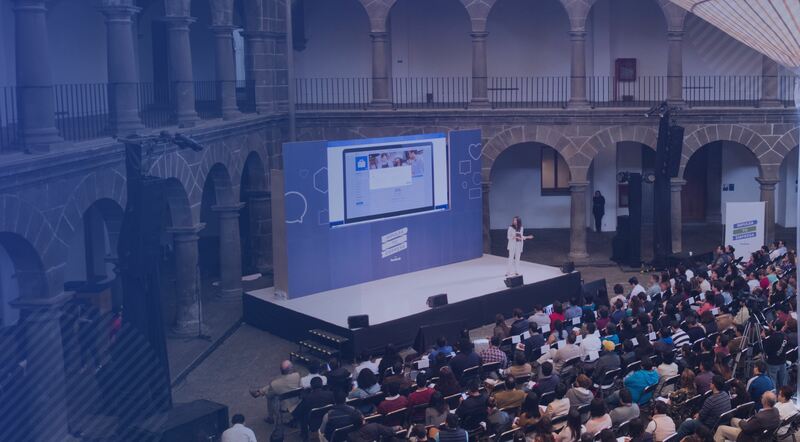 In 30 cities across Mexico, Facebook is providing key training for 9,000 entrepreneurs and SMBs, educating on how Facebook and Instagram can be leveraged for business, showcasing success stories and offering inspirational advice. We know that local communities benefit from local businesses, but businesses can also benefit from the wealth of knowledge that exists within their communities. Developer Circles from Facebook is a community-driven program for developers to connect, learn, and collaborate with other local developers online and offline. As well as being a highly interactive program, it is also a tool for sharing valuable insights and experiences which can be applied for future growth. We believe that women can achieve more when they have the opportunity to work together. That’s why we created #SheMeansBusiness, an online space for entrepreneurial women to connect, share knowledge, and access training in business and marketing. The program seeks to shed light on stories of women with an entrepreneurial spirit following three pillars: inspiration, celebration and education and information. 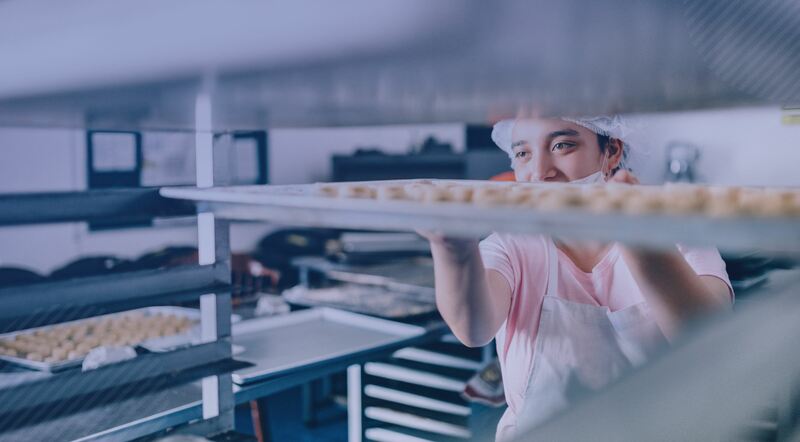 The #SheMeansBusiness program was launched in 2016 in Mexico, highlighting inspirational stories of female entrepreneurs and inviting communities to start conversations about women who are transforming their lives and society. 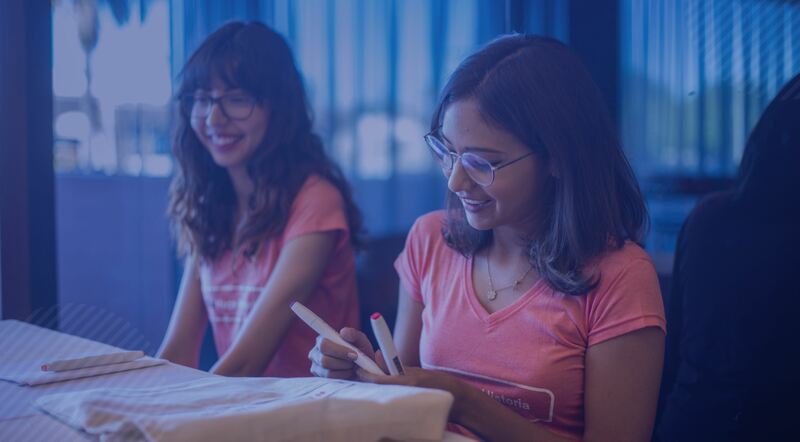 As well as raising awareness of these women, Facebook has so far visited Guadalajara, Hermosillo and Mexico City where cases of entrepreneurial success were presented and workshops focused on empowerment were held. This important work is set to continue during the year ahead. The nurturing of talent helps to build entrepreneurs. Though 110,000 people graduate from engineering in Mexico annually, the complex issues startups face often require a high level of technical skill. Leaders within these organisations don’t believe this talent pool has the skills required to solve these problems, which can prevent the rapid pace of growth startups require. Facebook’s year-round program guides students through intensive technical courses to shape them to become the innovators of the future. By supporting and strengthening talent and entrepreneurship skills, we can help solve one of the main resourcing issues in the local ecosystem. 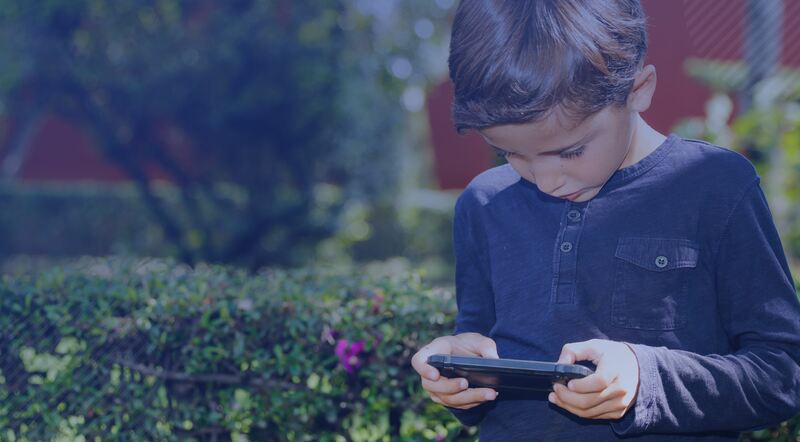 Facebook wants to teach younger generations in Mexico to be safe digital citizens. 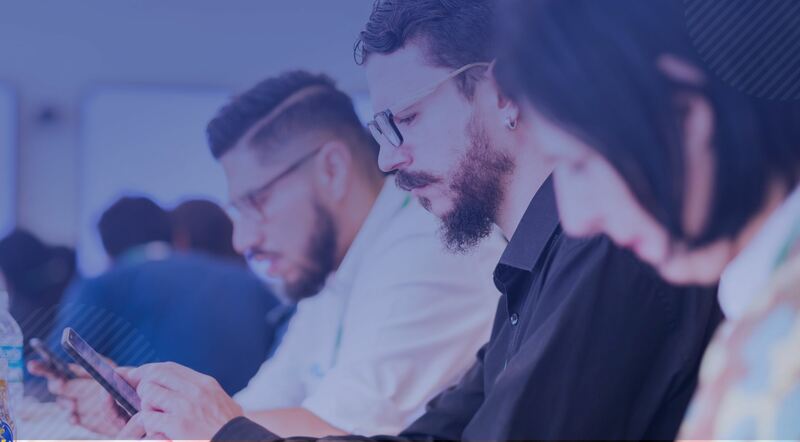 We’re partnering with NGOs to act on social issues and up-skilling Mexican designers in data protection and privacy to help make being online more secure than ever. At Facebook, we believe we have a responsibility to help prevent bullying and cyberbullying and promote safe behaviours on social media. We’re developing virtual reality experiences to develop skills and strategies addressing these online behaviours and educating on how to tackle them. In partnership with our local allies, Yeltic and Fundación en Movimiento, we expect to reach up to 40,000 children in the first year of operation. Making a positive difference should be easy. Facebook and Instagram can help NGOs to raise awareness of their causes, but many people aren’t sure how to utilise them. Our ‘Boost Your Cause’ program provides NGOs with all the tools they need to make the most of the platforms, helping them to reach the right audience, raise funds, create events and groups and recruit volunteers. Research is essential for building a better understanding of how SMBs operate. Facebook is partnering with the Tec de Monterrey (Monterrey Institute of Technology and Higher Education) to study whether differences exist between SMBs owned by women and men, such as access to capital and motivations for starting a business, as well as how Facebook can be used to overcome challenges faced by women who own or work for SMBs in Mexico. Facebook regularly partners with public institutions working towards the improvement of SMB activity. 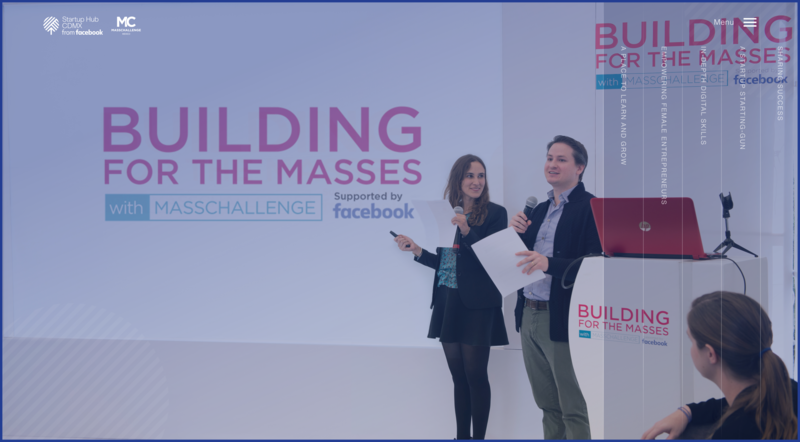 So that they’re able to educate their audience with our content, we train institutions such as the National Entrepreneurs Institute and the National Development Bank of Mexico throughout the year on how Facebook and Instagram can be leveraged for business growth and success. 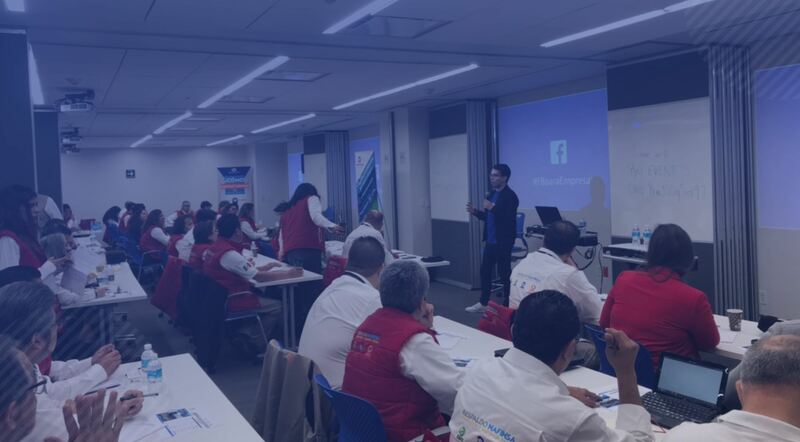 So far, we have trained 50 instructors for the National Development Bank of Mexico, who are extending their knowledge to SMBs all around the country.